What Are The Most Common Yard Weeds And How Do I Get Rid Of Them? Controlling common yard weeds can be more of a challenge than you expect, particularly in Georgia’s climate. Not only do our hot and humid summers foster the growth of all kinds of plants, but our mild winters represent one of the shortest dormancy periods found in the US. Winter common yard weeds, especially, easily take over lawns. 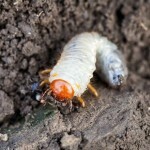 Think Green Lawn Care explains why this happens and what you can do to prevent it. The ground temperature in Georgia rarely dips under 30°, which is the cut off for cool-season vegetation to stop growing. This allows crabgrass, chickweed and other common yard weeds to continue growing even when winter temperatures drop. Worse, new seeds drop and take root during these cold periods, setting up a new growing season filled with harmful plants capable of choking your grass out before new growth breaks through the soil. The types of winter weeds affecting your lawn, however, may not include plants currently growing on your property. If you see winter weeds taking root in your lawn, it’s best to call in a professional. 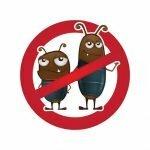 If you want your yard to be filled with thick, green grass come springtime, you need to take precautions throughout the year to minimize the spread of invasive common yard weeds. Most homeowners don’t realize they need to invest in weed control during the winter months. There are two types of products homeowners should research: pre-emergent and post-emergent weed treatments. Pre-emergent weed control is applied to your whole lawn. An even application protects the grass and provides ample coverage. These products prevent any seeds on your property from germinating and go a long way in preventing the spread of nuisance vegetation in your yard. 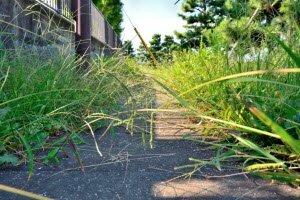 Unfortunately, consumer products aren’t the strongest, and they may not be formulated to work against the most common yard weeds you’ll face, like crabgrass. Be sure to check the fine print! The best time to apply pre-emergent weed control for winter common yard weeds is in late fall. However, if you’ve added any new grass seed to your lawn, you’ll want to skip this step and rely instead on post-emergent products. Post-emergent weed control is applied after seeds germinate and invasive plants start to grow. These are spot applications, often in liquid form. They may kill grass and other plants, so it’s essential to apply these products sparingly and in the right places to kill common yard weeds. If you’re not sure how to identify the common yard weeds growing in your lawn, or if you don’t want the uncertainty of treating them on your own, waste no time in contacting professionals. Call (678) 648-2556 for a FREE estimate from one of the area’s long-standing lawn service providers, Think Green Lawn Care.